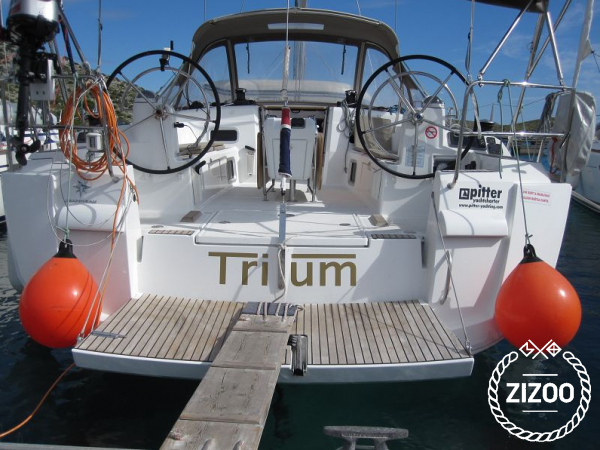 Located in the Zadar’s modern marina, the 2014 Sun Odyssey 469 is the perfect choice for your boat holiday in croatia. Based on the successful design of the Jeanneau Sun Odyssey 509, this SO469 is both elegant and comfortable. You’ll love the drop-down swimming platform, which allows you easy access into the pristine waters of one of Croatia’s best beaches. Cruise in style and comfort as you set off on a journey to the famed Kornati Islands or the Sibenik archipelago. The well-designed kitchen is great for preparing meals onboard or enjoy local cuisine at a seafront knoba. For more tips, check out our guide to yacht charter holidays in Zadar. I love to sail, so I just took few friends and made them a tour around Zadar. We also booked the stundup paddle board and it was very very fun! Die Sun Odyssey hat uns als Boot sehr zugesagt. Wir hatten eine gute Zeit. Vielen Dank für den freundlichen Service.